We are dedicated to providing the highest quality Physical Therapy care available. This is why we provide one-on-one treatment sessions where you will only be treated by the Doctor of Physical Therapy, not by support staff. We practice evidence-based medicine using the best current research and clinical expertise to reach your goals faster. We are looking forward to providing you personalized state-of-the-art physical therapy care. Every individual and their condition is unique. We conduct a thorough examination and assessment to determine your individualized plan of care. Not all exercise programs are the same. You will be prescribed only the best researched based exercises specifically tailored for your condition. Surface electromyography is a non-invasive procedure that allows us to see the electrical activity of the muscles at any point in time during any activity. Our wireless system helps us to precisely determine movement dysfunction that may not otherwise be possible. We also offer video motion analysis to continuously measure the angles of your joints during activities such as walking or running. We had advanced training and certifications in manual therapy techniques. These treatments include soft tissue mobilization, myofascial release, and joint mobilization including joint thrust techniques. 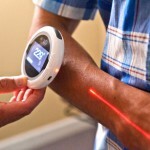 Therapeutic ultrasound, electrical stimulation, heat, and cold modalities may aid in reducing pain and inflammation. 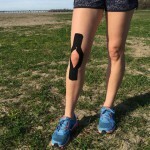 There are several different types of taping methods which may assist treating your specific condition. These include Mc Connell , Kinesiology, and Mulligan type taping.